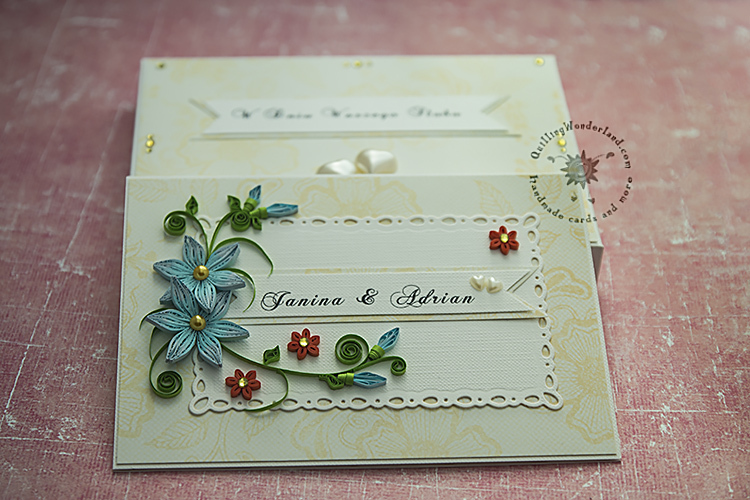 The most important thing is that I finally manage to find some time for a new post! And I have a little secret to share with you. For the first time in my life I used ink on my flowers!YAY! It was sitting in my drawer for a looooong while. ( It started shouting at me: use me, use me!). 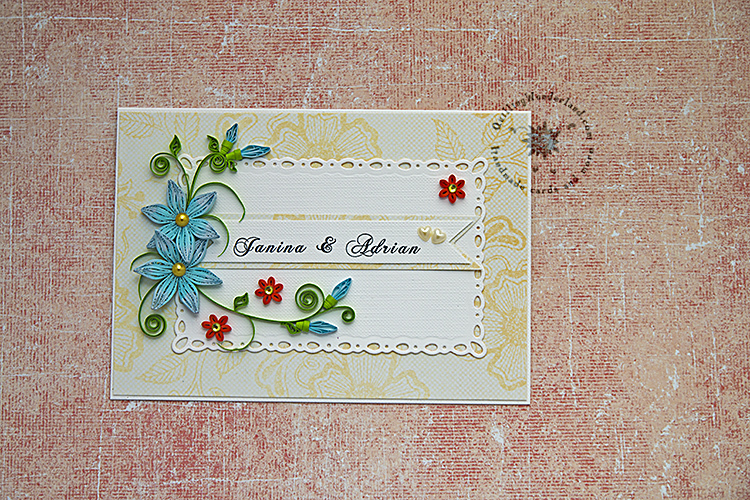 I’m not sure if you can see it on the pictures cos I used only teeny tiny quantities on the blue flowers petals. 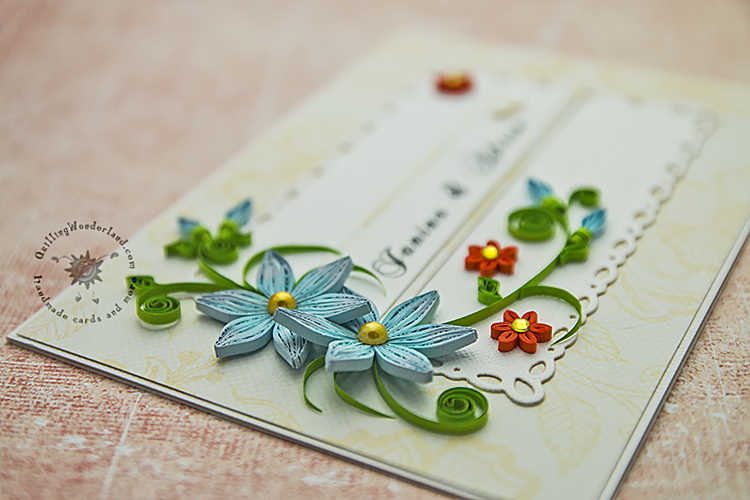 Making this blue flowers was nice and easy but then I realized, that I have to send this card.It wouldn’t be that bad but it is around 2000 km from here! 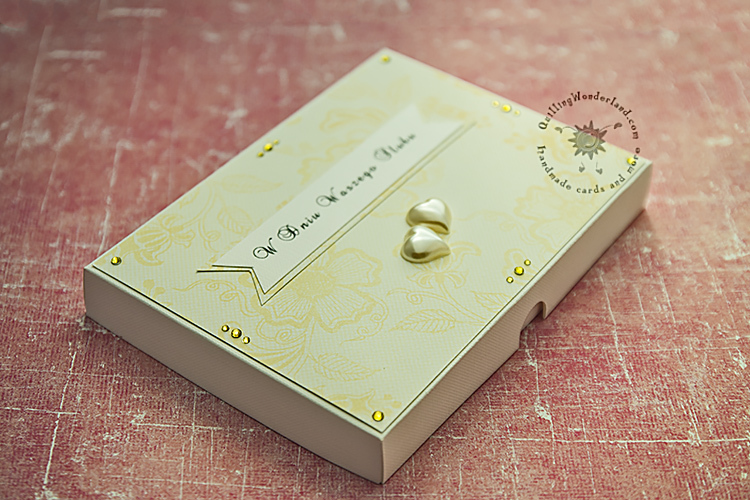 Now is a good time to show you my shipping proof handmade box. Normally I would say that it’s too sweet and too shiny ( big pearl hearts). As I said it has to survive long journey so it is like it is. Plus I used nice white ribbon to make a nice white bow. 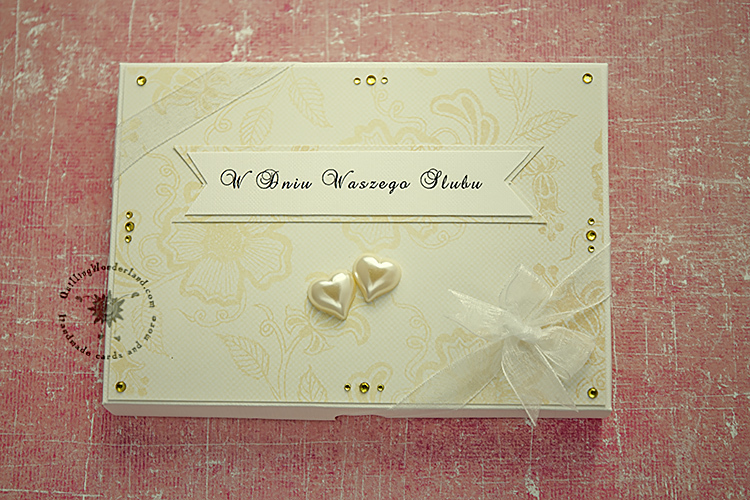 I showed you my card and my handmade box so now is the best time to show you the inside of the card. 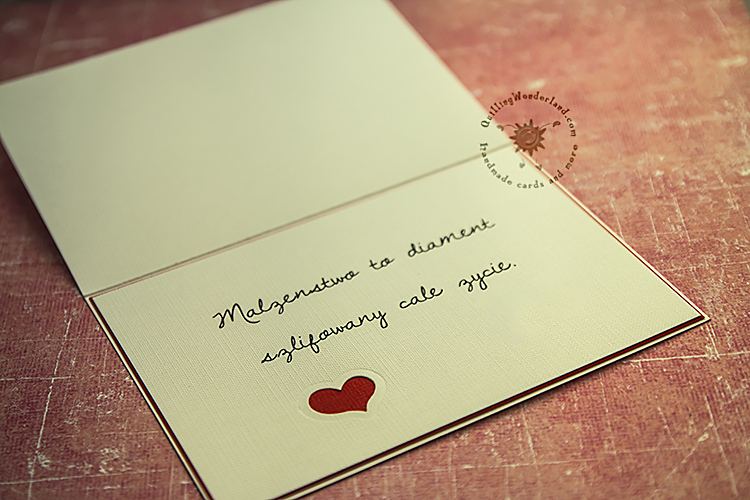 Translation of the inside message: Marriage is like a rough diamond that needs lifelong polishing. 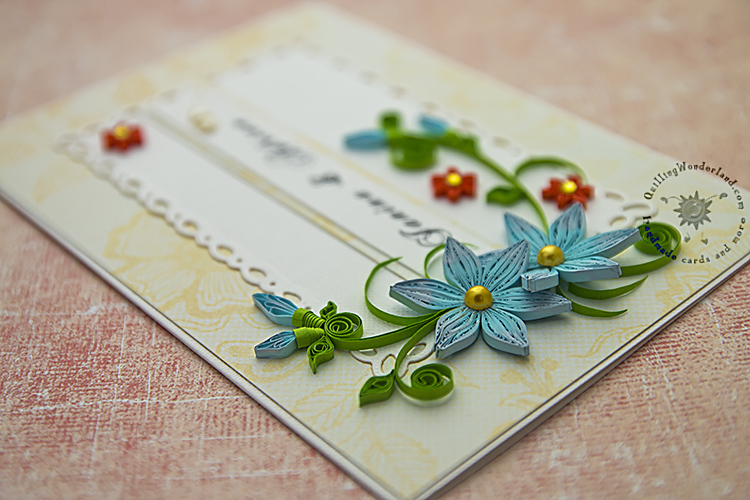 Thanks for popping in and see you soon with more quilling!